Trump spoke of draining the swamp. It is no secret that many Ashkenazi Jews (AJ) live and work in the swamp. AJ’s have nothing to do with, nor are they genetically related to Biblical Sephardic Jews from the middle east and north Africa. In the early decade of the 1900’s 80% of the worlds Jews lived in the “pale of settlement”, that being Poland/Ukraine/Lithuania/Belarus/ Moldavia/etc. Arthur Koestler in his book “The Thirteenth Tribe” published in 1976 details how the AJ came into being. There existed a tribe of Turkish Khazars who roamed the area north of the Caspian and Black seas. About 1,000 years ago when the Russians accepted Orthodox Christianity, some of the Khazars accepted Judaism. When the Russians collapsed the Khazar empire about the 12-13th century the Khazars moved into east Europe. Today, even Bibi Netanyahu prime minister of Israel admits that he is a Khazar Jew. That being said, let’s move on to the behavior of the AJ’s over the past few centuries in Europe and most recently in the U.S.
Armageddon /Rapture is a Christian concept. Televangelist Pat Robertson states that Israel must expand from the Nile to the Euphrates before Christ will return. Jews are God’s chosen people according to John Hagee a “chubby “ televangelist who actually vibrates when he talks about Israel. The Great Conspiracy ( 947.084 SAY ) by Michael Sayers and Albert Kahn admits to the Jewish conspiracy in Russia in the 1930’s. Published by Little, Brown & Company 1946. Leon Trotsky’s Collaboration with Germany & Japan by Grover Furr , Erythros Press & Media 2017 details Trotsky’s actions. Solzhenitsyn in his book “Two Hundred Years Together” details the Russian/Jewish conflict over the past 200 years. Available on Kindle. He was talking about Jewish influence in Russia.Professors John Meirsheimer & Stephen Walt’s book “The Israel Lobby and American foreign Policy“ (Amazon) details the Jewish influence on American foreign and military policies. What the AJ’s tried to do in Russia and failed is what they are trying to do in the U.S.A.
We Americans need to take our country back from this tiny cabal that calls the “shots” for all of America. I am a Sepherdic Jew. I know plenty of Ashkenazi Jews who are Doctors, Psychologists, Scientists, Buddhists, New Agers, Social Workers, and Nobel Laureates. 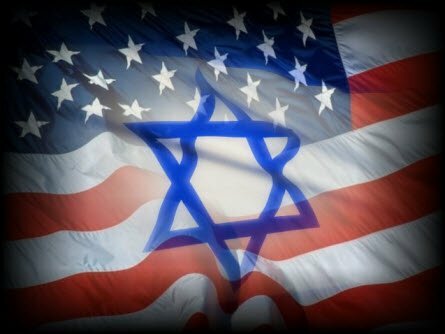 There is a not so fine line between pointing out obvious Zionists in the Government and corporations–The Cabal– and all Ashkenazi Jews. It’s called “Painting with a wide brush”. It’s also called Racism. 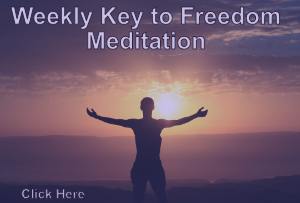 On the 22nd day of March in the Gregorian Year of 2018 I Redeemer Lorna Lynne Borgeson Queen Mother of Heaven and Earth known as Ashara aka Akasha decreed THE SUPREMACY OF HEAVEN. I have initiated a claim with the Taxpayers Ombudsman of British Columbia to remove myself as a taxpayer and end my dealings with the Crown. As part of the claim I have drafted an Affidavit of Claim Victim of Felony addressed to the Taxpayers Ombudsman. And I have drafter LEGAL NOTICES to be served to acting Taxpayer Ombudsman Mr. Desano, Agent acting for Canada Revenue Agency Mr Jerry Crowley, acting Finance Minister of British Columbia Carole James, acting President of the Treasury Board of Canada Scott Brison, acting Queen Ms. Elizabeth Mary Windsor and acting Pope Jorje Mario Borguglio which I published below. 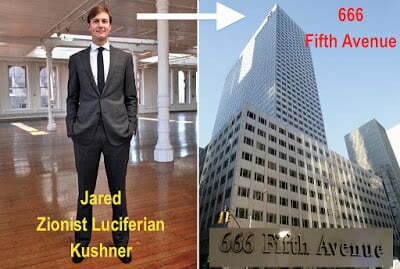 Ole’ Jared (Krooked) Kushner FITS like a Taylor-made suit…and 666 Fith Ave?! How PERFECTLY “Satanistic”!